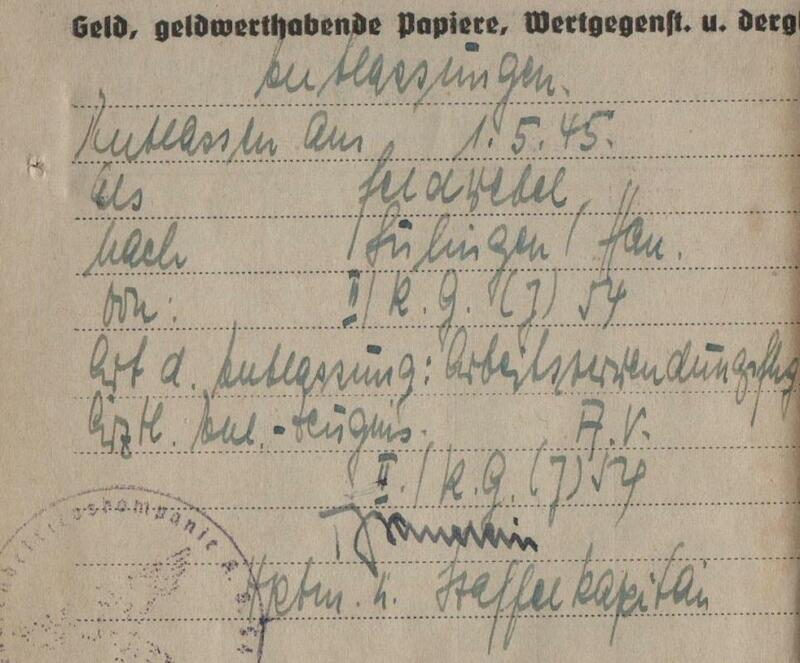 What is the name of this Generalleutnant? 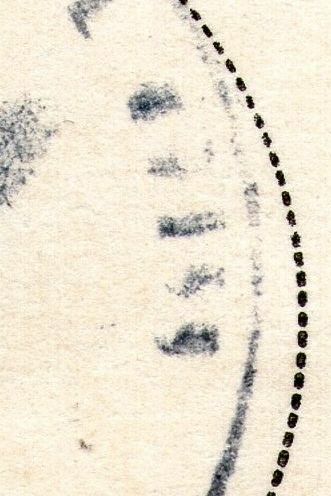 That's the signature of Roques. Can't remember his first name off the top of head. Might be Karl von Roques but I don't have anything to compare the signature with. Is talk about this von Roques, Karl? I'm not sure. 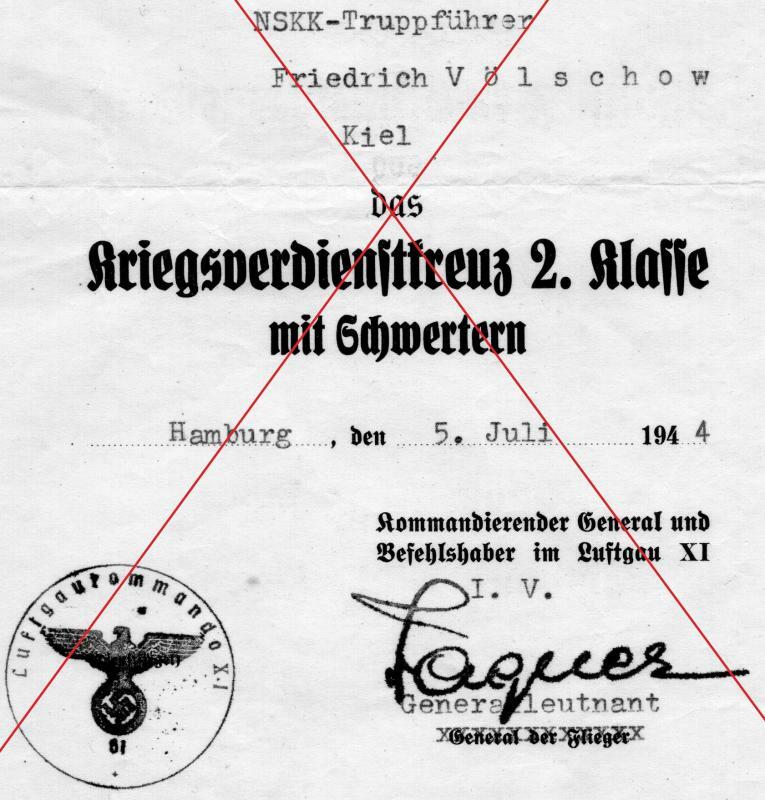 The only two 'Roques' I can think of is Karl von (who had a Luftwaffe background) and Franz von and I have an example of Franz von Roques's signature in my collection and it isn't the same as the one shown here (see Signature Database to see it). 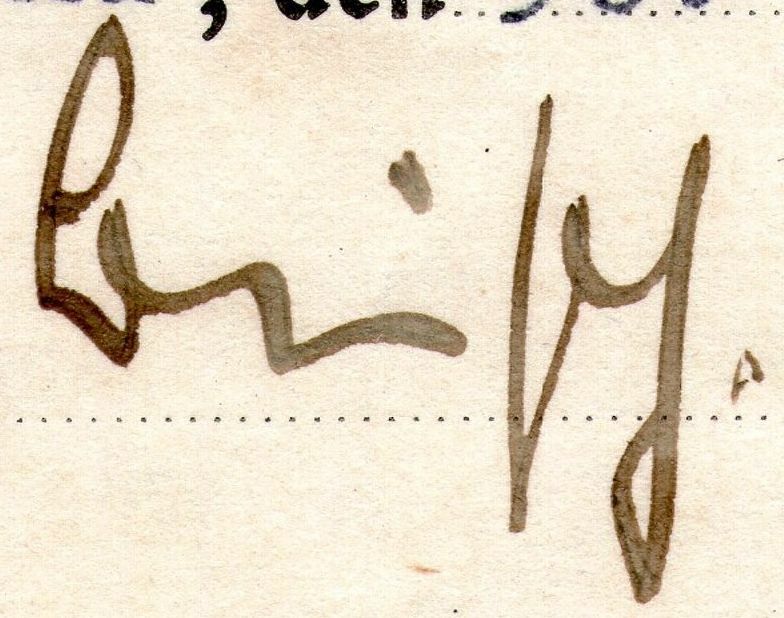 I have seen this signature many times but have never bothered to save it to my files. Wish I had now! 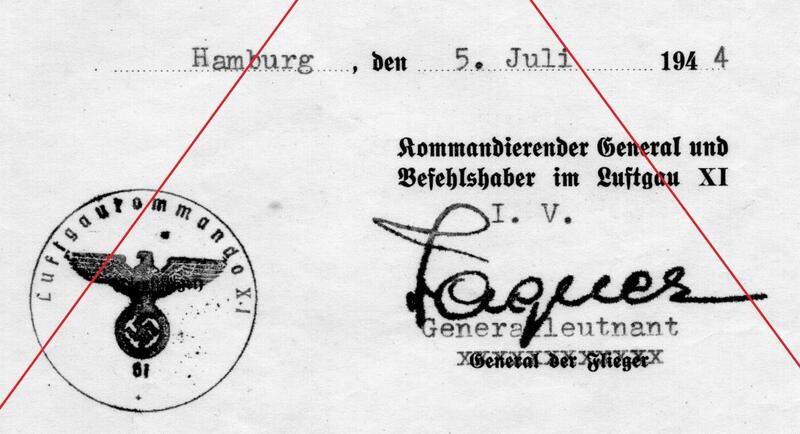 In this site http://www.geocities.com/~orion47/WEHRMACHT/LUFTWAFFE/General/ROQUES_KARL.html we can see that Karl von Roques was in retired since 31/03/1943. 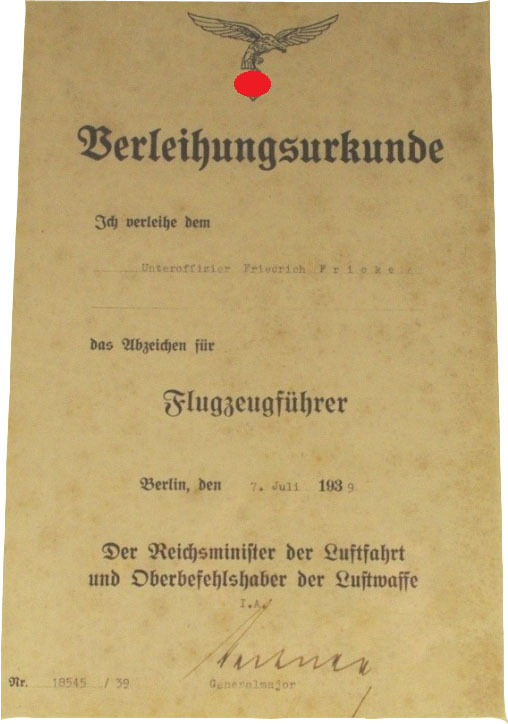 I don't think that award document is fake, this is cheap doument, but the paper is very thin. I was wondering if anyone knew who this fellow was. No problem. 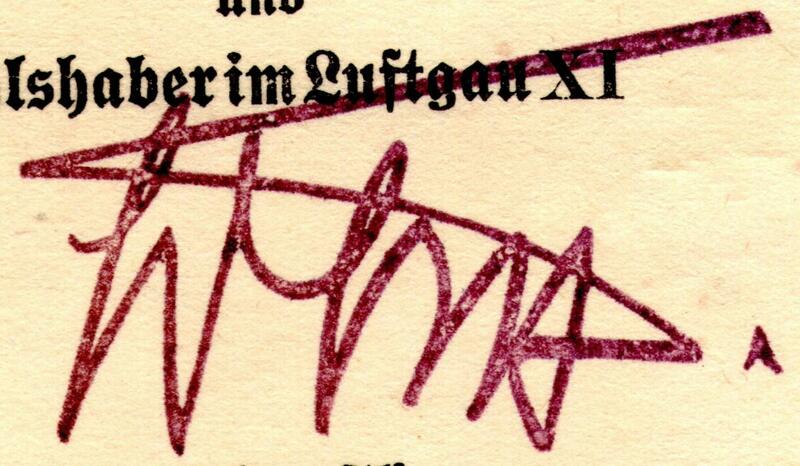 His is a very commonly seen Luftwaffe related signature, along with Rudolf Bogatsch's. 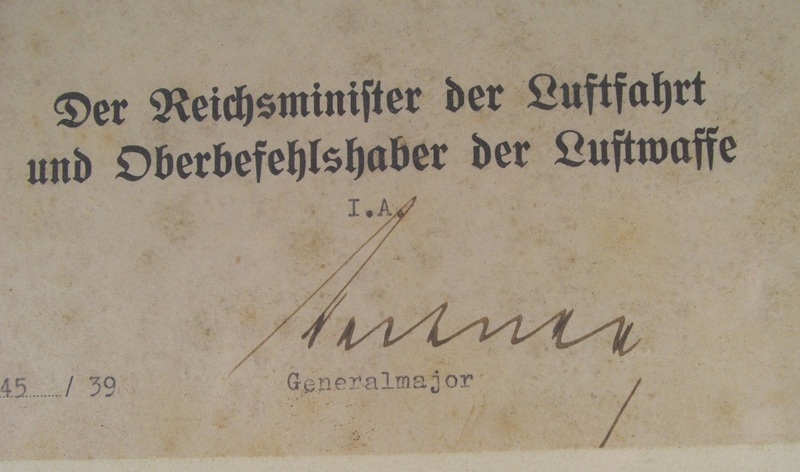 is this signature of General der Flieger Ludwig Wolff? Is this facsimile or no? Yes, it is Wolf and it is a stamp. 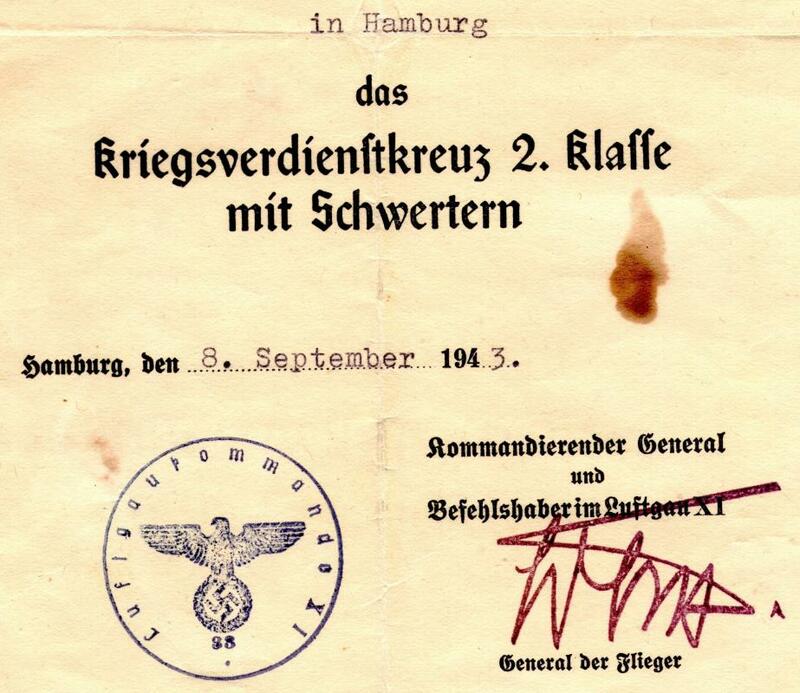 His sig is basically always found stamped from the mid-war years on. A few signatures that I have yet to find the identity to. 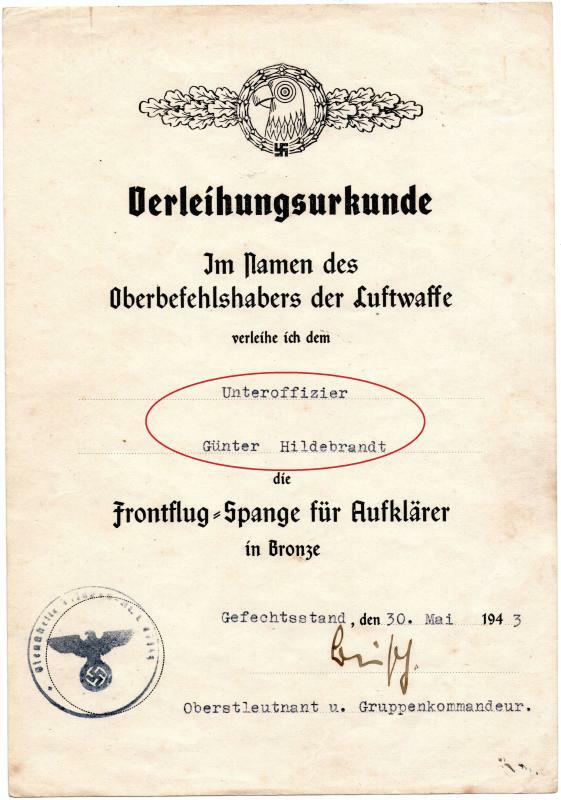 Dated 1939 so may well of progressed up the ranks in the years to follow but shown here as a Leutnant in Stab I/StG 2 'Immelmann'. And a few dated for 1944-45 and from KG-54/KG(J)-54. Is there a unit mentioned under the airman's name? 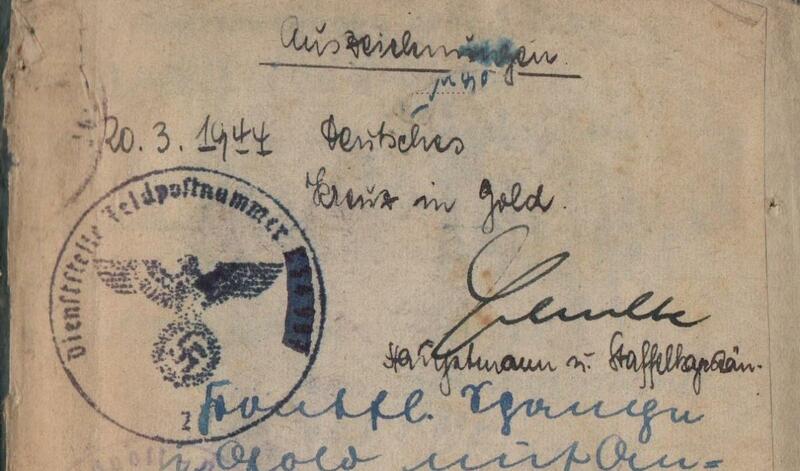 The Feldpost Number is unreadable in the stamp. 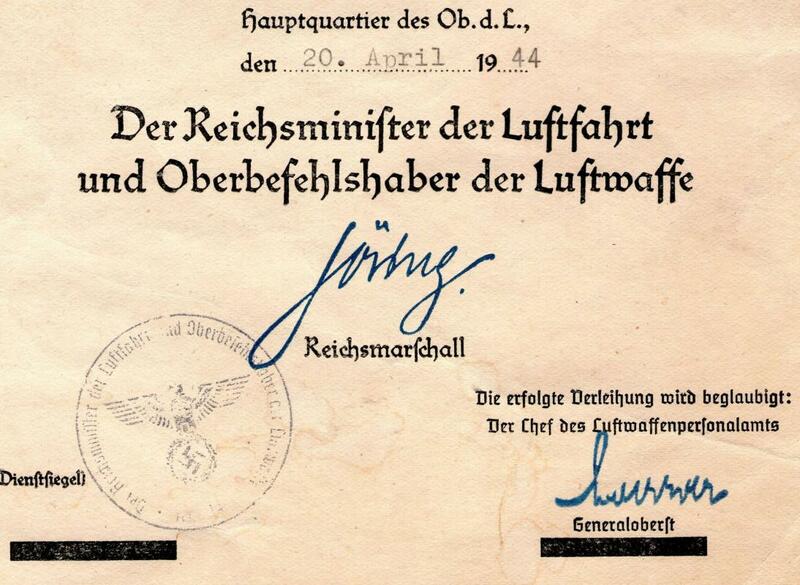 Is this signature of Commander 4. 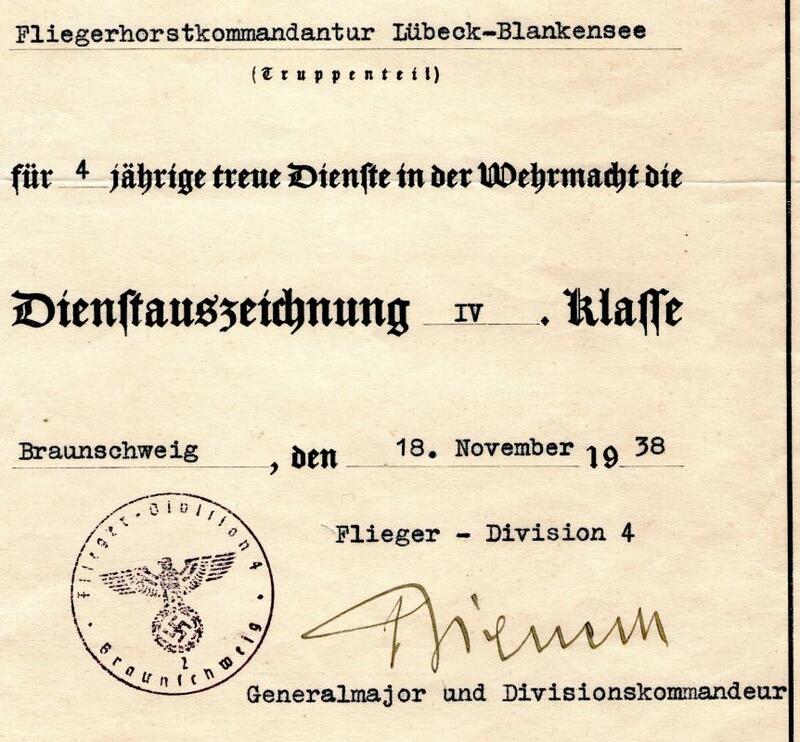 Flieger-Division Hellmuth Bieneck (http://www.geocities.com/~orion47/WEHRMACHT/LUFTWAFFE/General/BIENECK_HELLMUTH.html)?